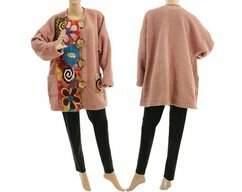 A very casual, wide batwing jacket made from an exclusive boiled felted wool. 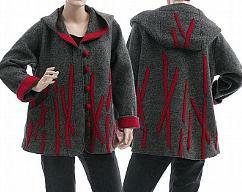 In the back as a decoration a vertical seam, side slits on the both sides. 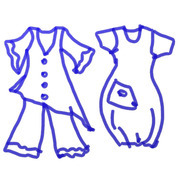 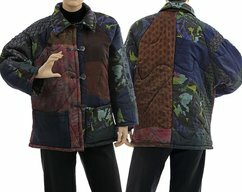 The chic jacket has a very comfortable shape, large patch pockets, beautiful coconut buttons. 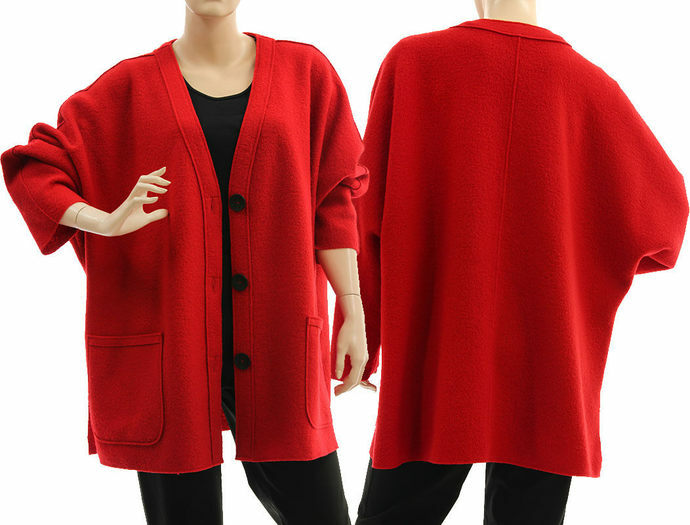 This jacket is very comfortable and flattering, by the roomy width it fits several sizes. 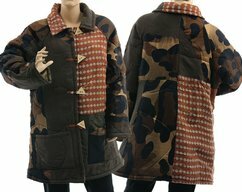 A really high-quality jacket - you can enjoy it for a long time.